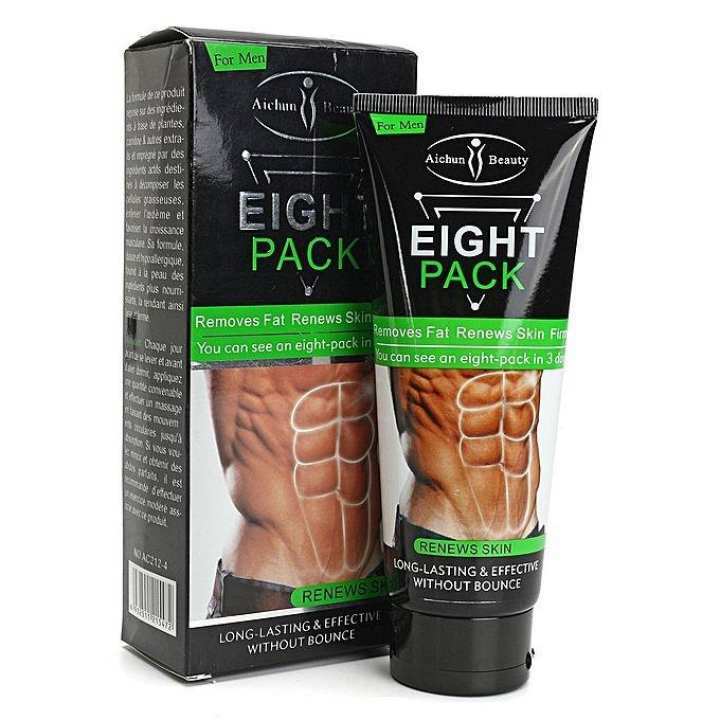 The cream for beautiful male torso! Product efficacy: makes the skin more elastic and dense, promotes the skin's metabolism, effectively eliminates hypodermic fat and makes the muscles lines and body more attractive. Method of use: apply the product half an hour after workout and massage the desired area of the body. Warms up the muscles and improves the metabolism of skin. Helps to break down excess subcutaneous fat and make the body more relief. Promotes the skin's metabolism, increases muscle and firms the skin. Big muscles are the indication of a real man.